Are you a "rule" breaker? 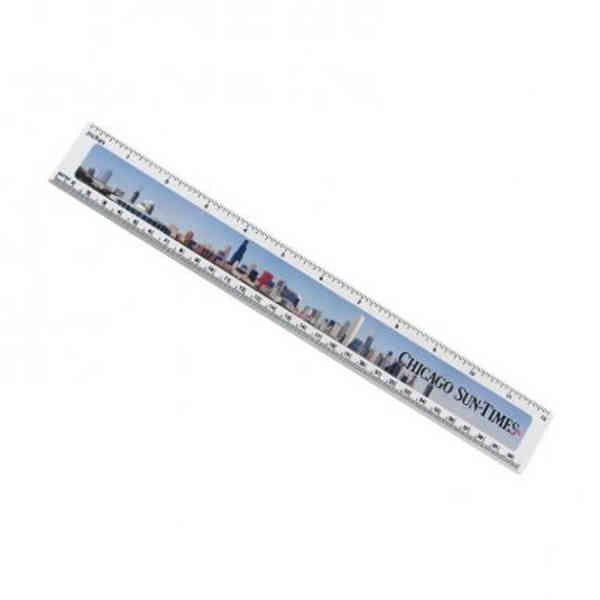 Then promote your business or event on this 12 inch ruler! The digitally printed promotional tool is proudly made in the USA and ideal for school programs, charity fundraisers and so much more. The classic desk accessory comes in a white background with full color processing to help improve the ad message. What a great way to "measure" business growth. The actual size of the ruler is 12 1/4" x 1 5/8". Size: 12 1/4 " x 1 5/8 "
Imprint Size:11 3/4" x 7/8"
Ship Weight:24 lbs, Please contact us for shipping estimates for orders over 200 pounds.